Enjoy five inches of crystal clear OttLite magnification – lighted with our super bright LEDs to boot. 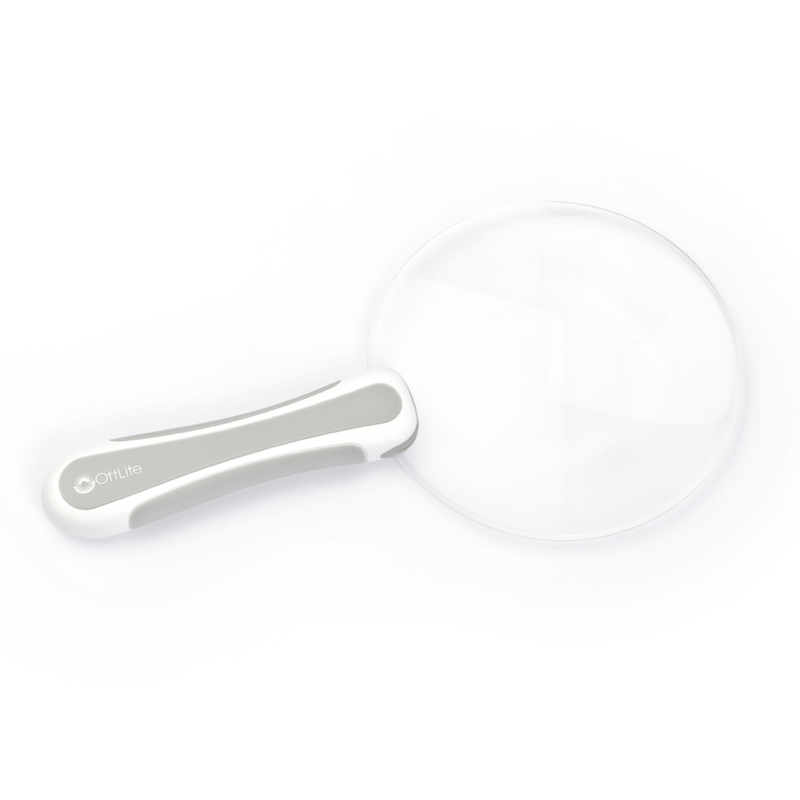 This lightweight optical-grade lighted magnifier is the ideal companion wherever magnification is needed. The no-slip rubberized handle is easy to grip and comfortable to hold. You’ll see even the finest details with ease under this expansive, rimless magnifier.